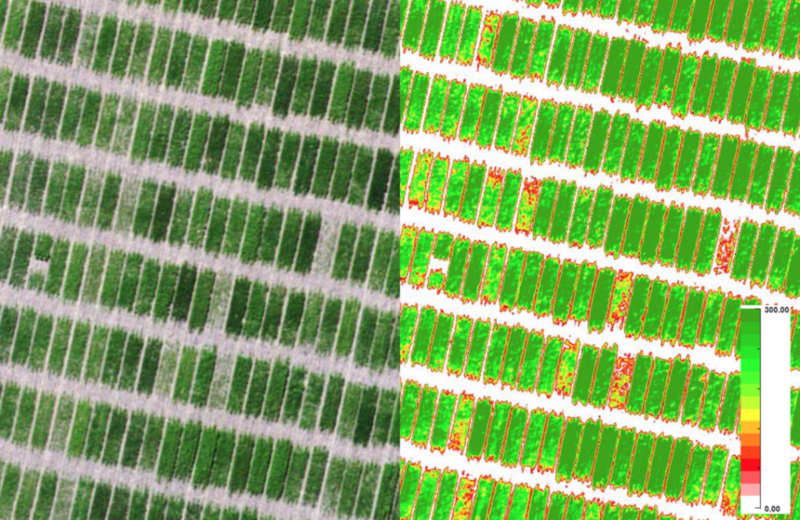 Raleigh, NC – PrecisionHawk, a leading aerial data company, and Leonardo, a multinational high-tech security company, have collaborated to deliver to customers a new algorithm that automatically detects wheat nitrogen levels from drone-collected imagery. The Absolute Nitrogen Content app is available to the public in PrecisionHawk’s Algorithm Marketplace. 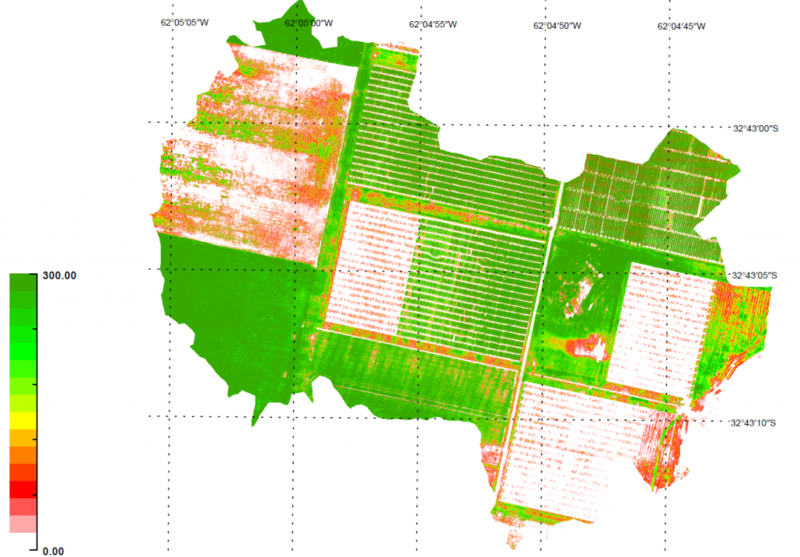 The Absolute Nitrogen Content app is designed to support variable rate prescription applications in wheat fields and uses imagery collected by multispectral sensors. Wheat growers and producers will be able to upload field imagery and select the app to automatically view nitrogen levels in their crop. Nitrogen fertilizer is a high expense for farmers, and this has resulted in increasing demand for tools that curb costs. Drones are being adopted by farmers as a tool in precision agriculture to provide insights that are difficult, if not impossible, to achieve with current technologies. The additional field data can be used to conserve resources and increase efficiencies. PrecisionHawk is a terrestrial data acquisition and analysis company founded in 2010. The company provides an end-to-end solution using Unmanned Aerial Vehicles (UAVs) for data collection and analysis software tools to deliver better business intelligence to clients across a wide range of civilian industries. PrecisionHawk also owns terrestrial data software, DataMapper, satellite imagery provider, TerraServer, and the Low Altitude Traffic and Airspace Safety platform for drones, LATAS. A privately held company based in Raleigh, NC and Toronto, Canada, PrecisionHawk's investors include Intel Capital, DuPont, Millennium Technology Value Partners, Verizon Ventures, a subsidiary of USAA, NTT Docomo Ventures, Yamaha Motor and Indiana University's Innovate Indiana Fund. More information about PrecisionHawk can be found at www.precisionhawk.com or on Twitter @PrecisionHawk. Leonardo is among the top ten global players in Aerospace, Defence and Security and Italy’s main industrial company. As a single entity from January 2016, organised into seven business divisions (Helicopters; Aircraft; Aero-structures; Airborne & Space Systems; Land & Naval Defence Electronics; Defence Systems; Security & Information Systems), Leonardo operates in the most competitive international markets by leveraging its areas of technology and product leadership. Listed on the Milan Stock Exchange (LDO), at 31 December 2015 Leonardo recorded consolidated revenues of 13 billion Euros and has a significant industrial presence in Italy, the UK and the U.S.